This lovely 3000 sq. 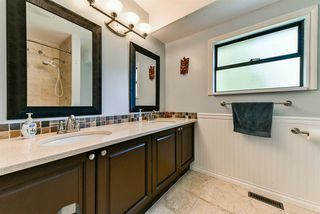 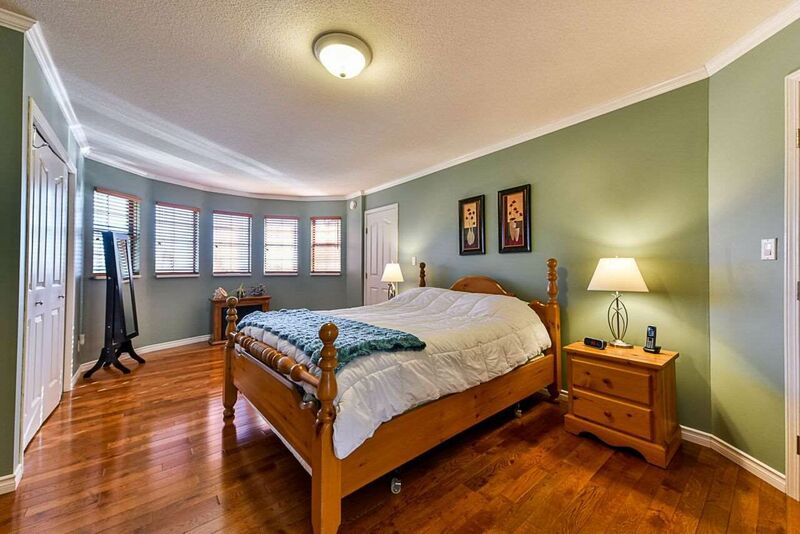 foot two level home has great curb appeal & is situated on a 14,592 sq. 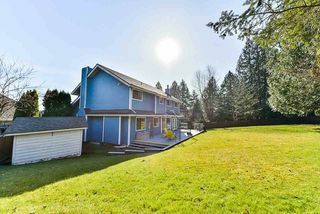 foot lot in the upscale, safe & attractive Chimney Hill neighbourhood. 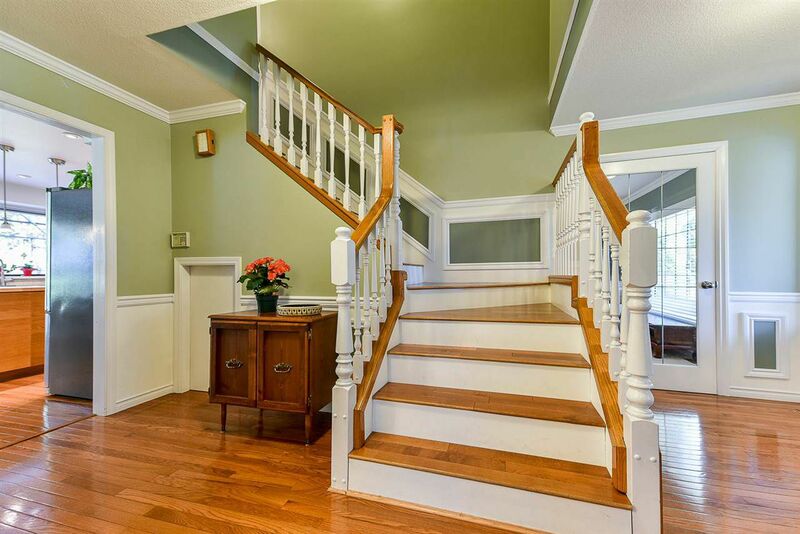 "A Beautiful Oasis in the Heart of Surrey." 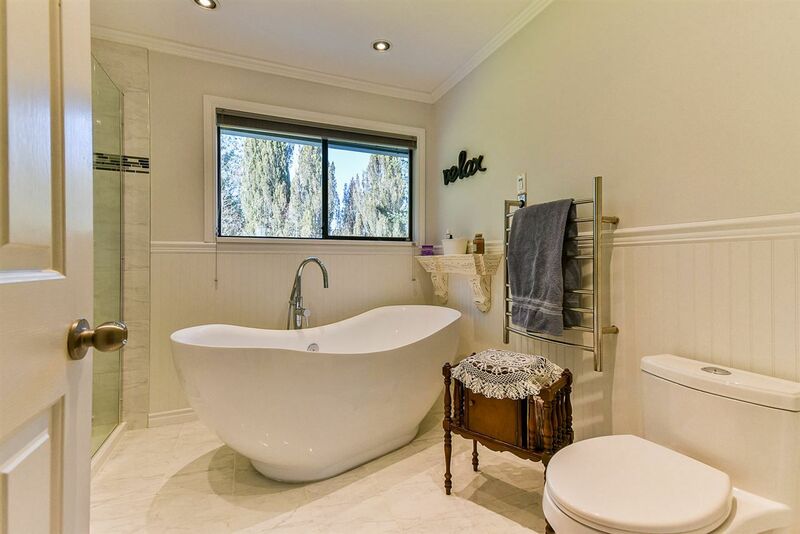 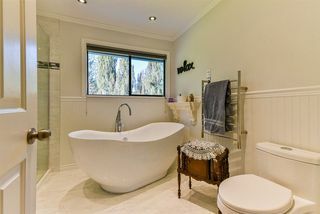 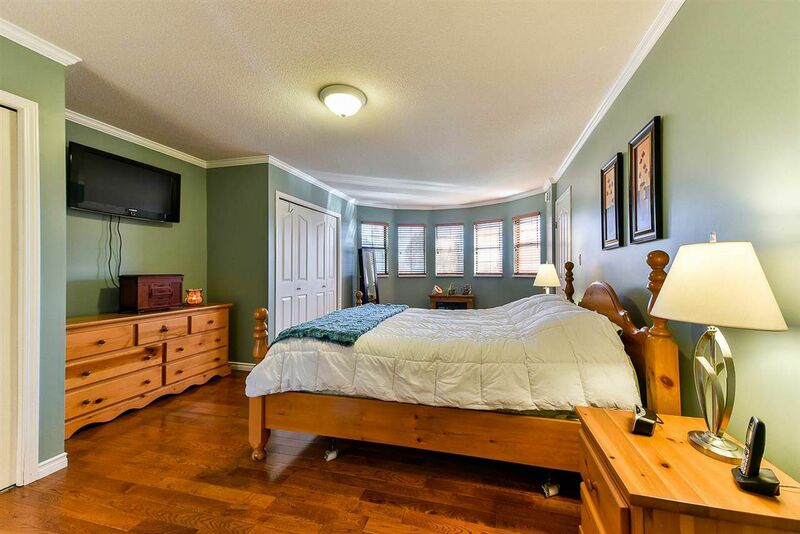 Boasting 5 BEDROOMS plus a GAMES- ROOM upstairs with two luxuriously updated bathrooms. 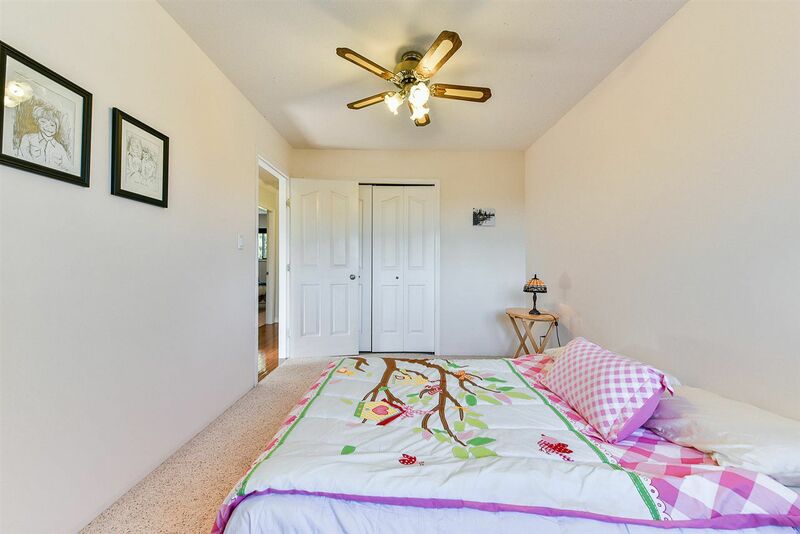 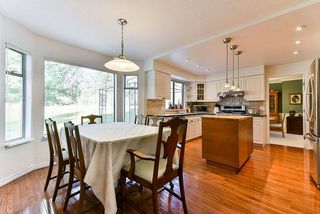 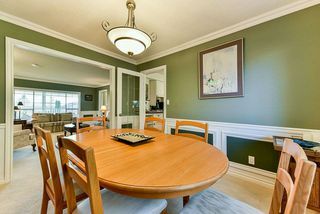 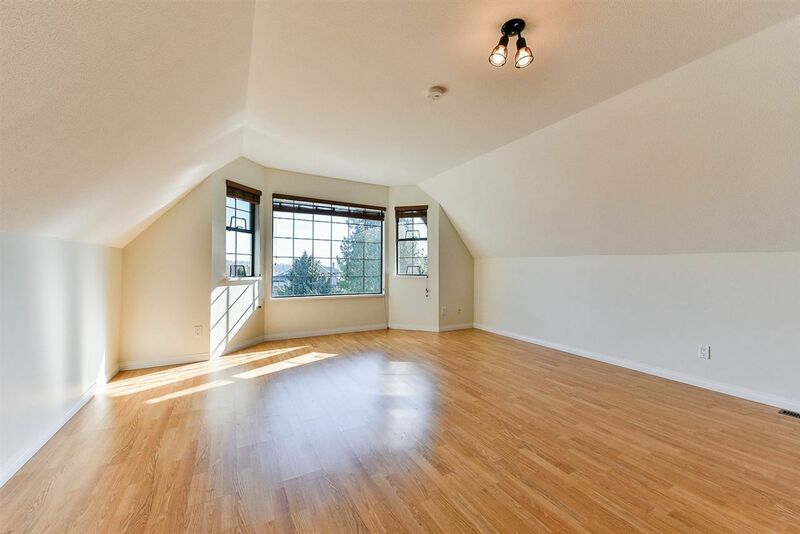 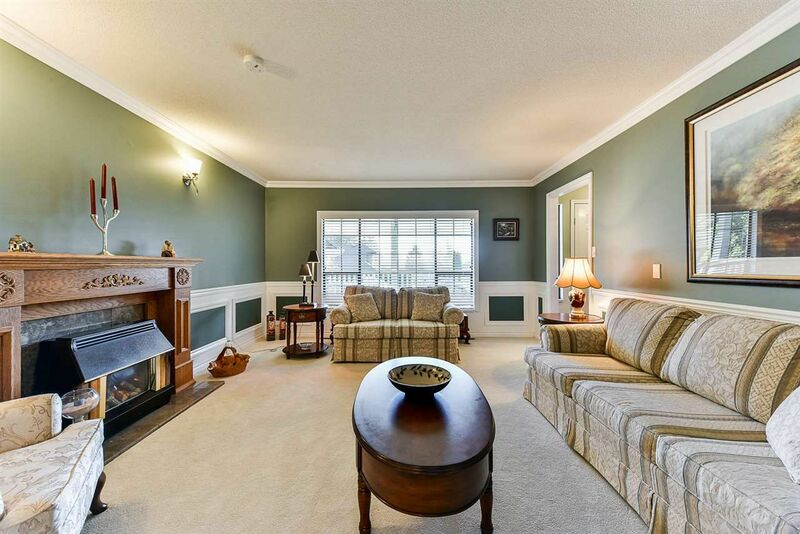 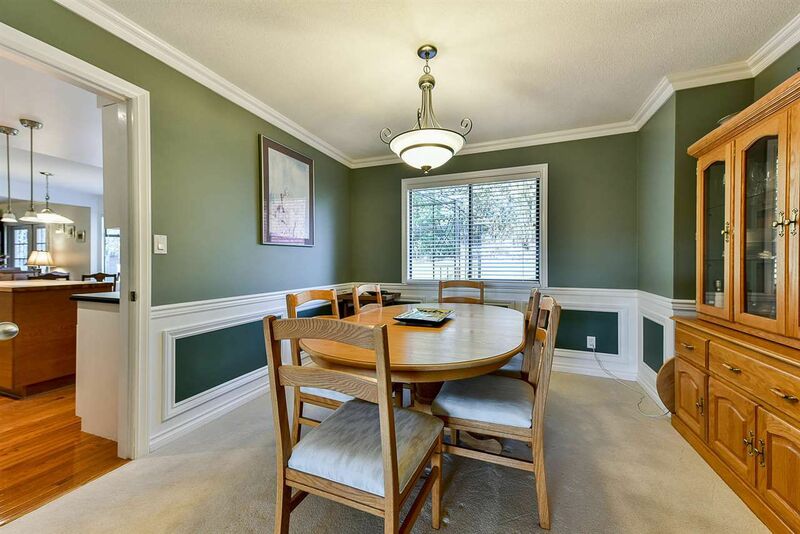 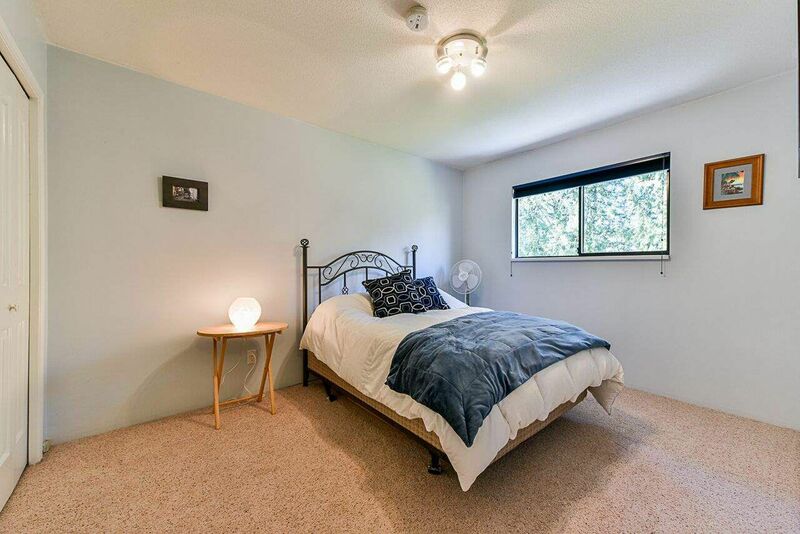 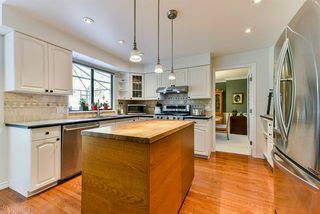 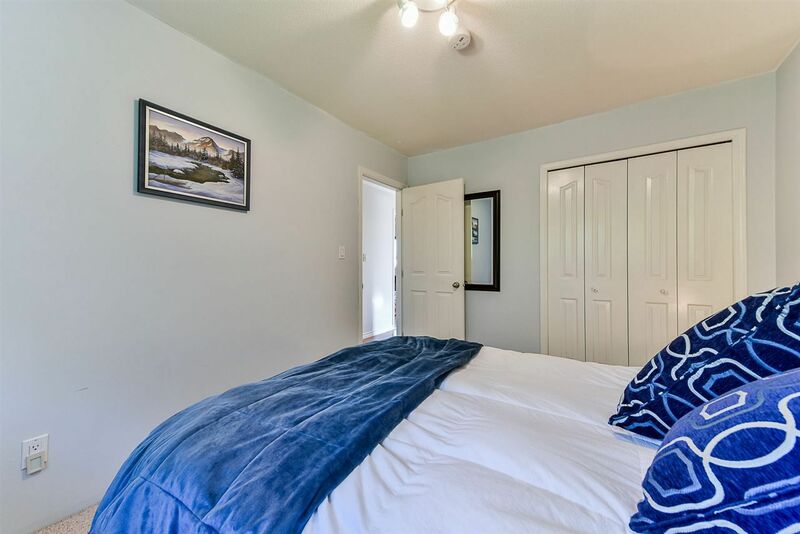 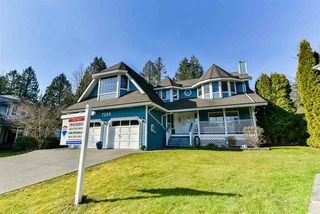 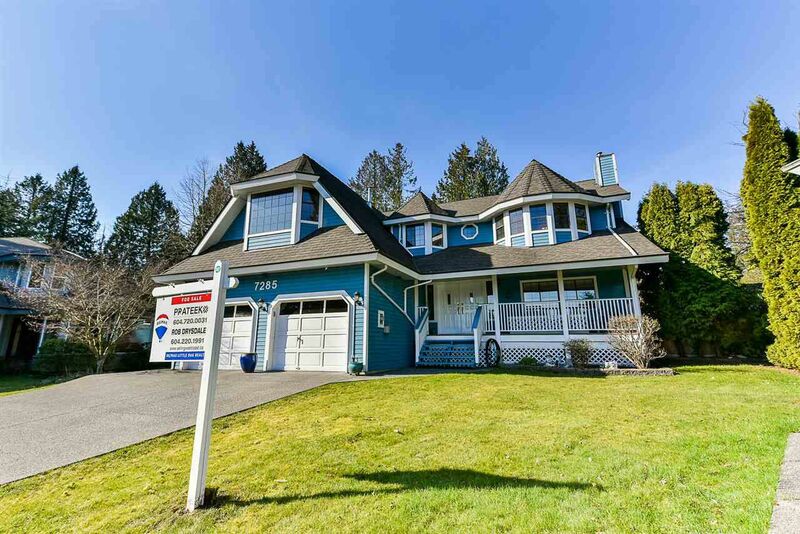 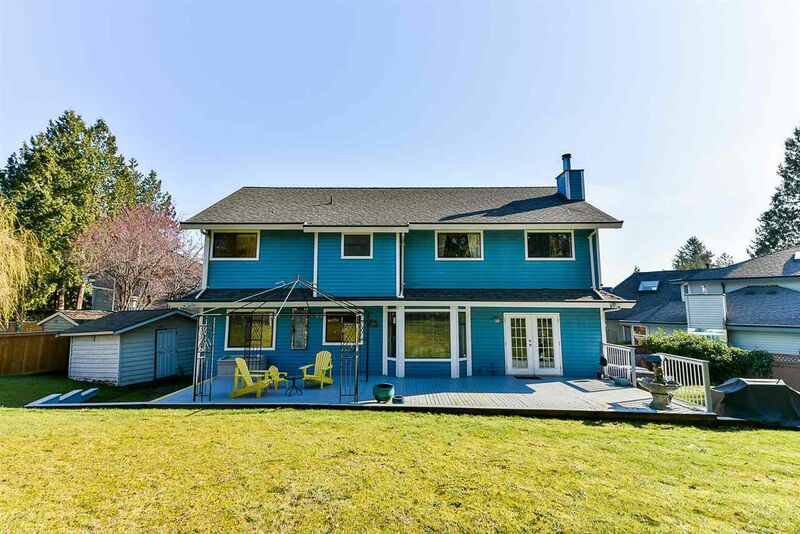 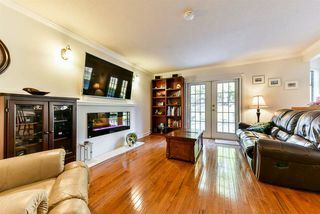 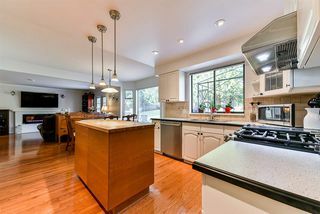 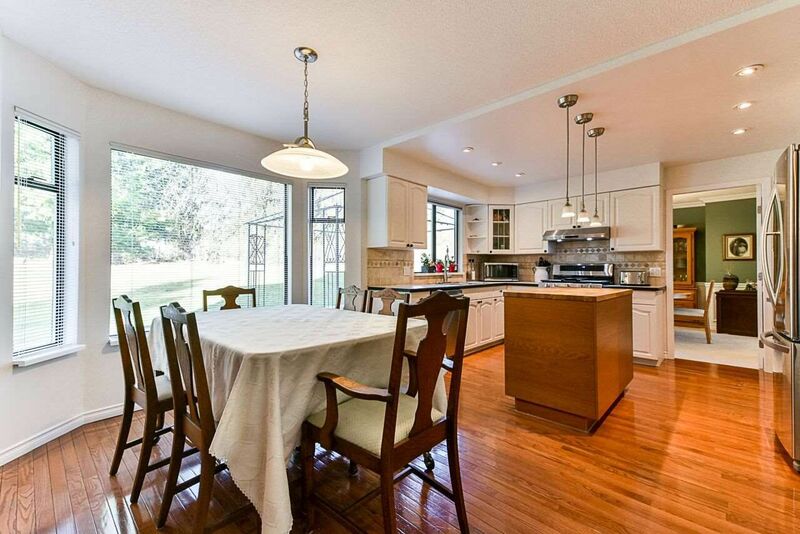 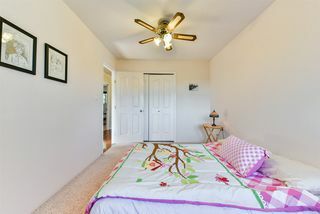 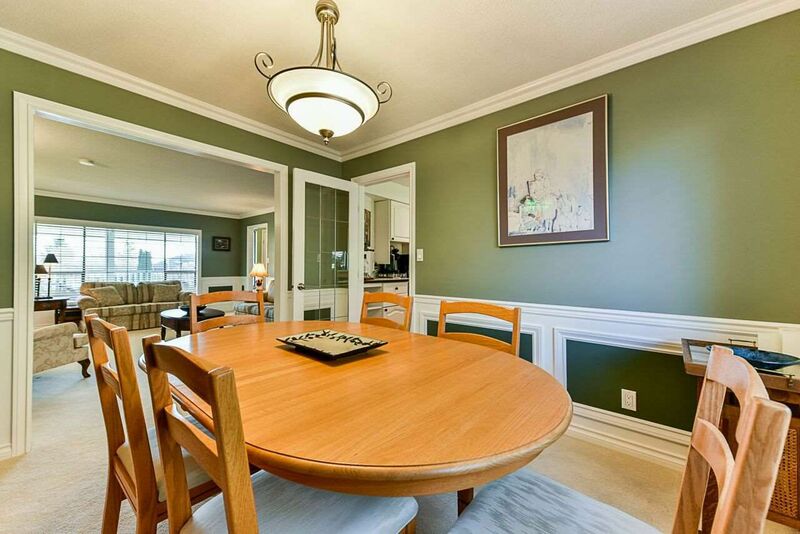 Main floor has a traditional layout with large living & dining room attractive bright kitchen with sunny eating area & adjacent family room with french doors onto a sundeck looking out to the large rear yard, (perfect for those summer BBQ'S), powder room & a den/office. 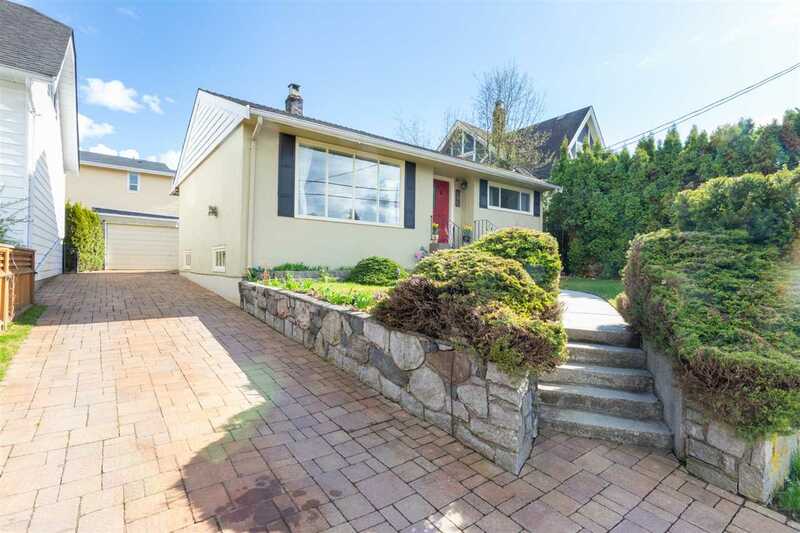 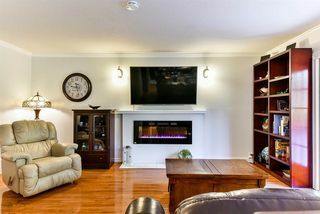 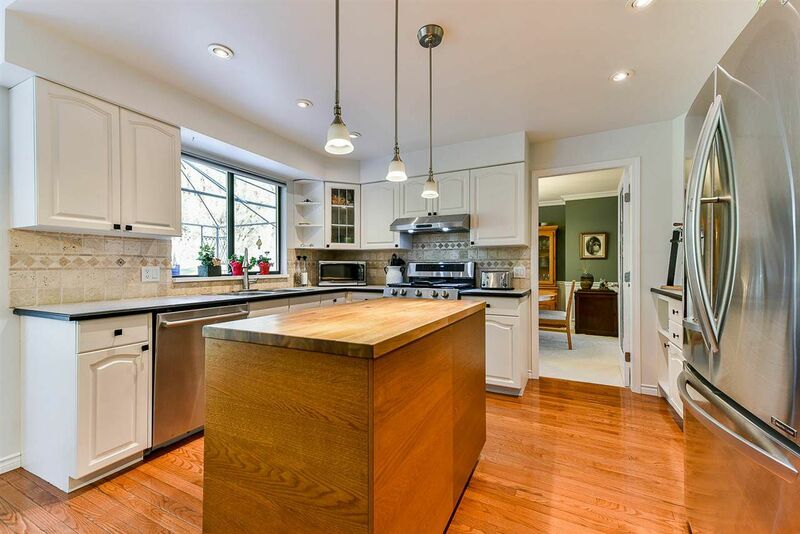 This extremely well maintained home has attractive updates including but not limited to both upstairs' bathrooms, roof, furnace, hardwood flooring, all appliances & a newer exposed aggregate driveway leading to the Double Garage.